or who have recently served. Richard Behana is a 1999 graduate of Frazier and a 2004 graduate of the University of Pittsburgh. 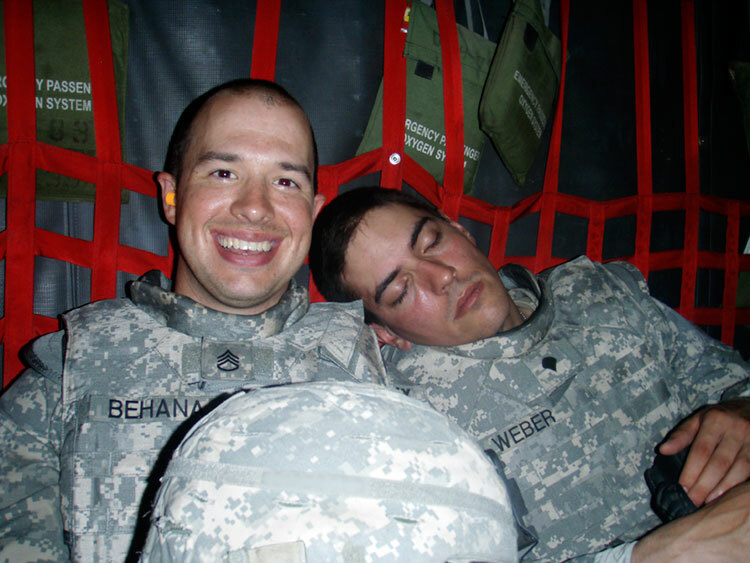 Richard completed two tours of duty in Iraq. 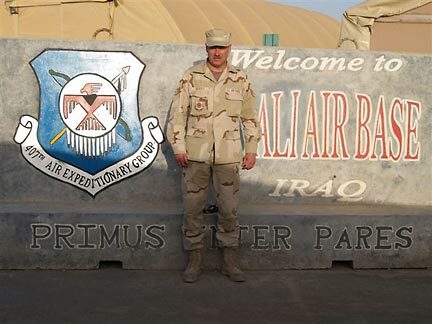 Two Tours: Paul H. Farrow, II, a 1988 Frazier Graduate, is on his third tours in the Persian Gulf: Kuwait in 2002, the United Arab Emirates (U.A.E.) in 2004, and now, in 2008, Paul is back in Kuwait. Paul is serving in the U.S. Air Force. 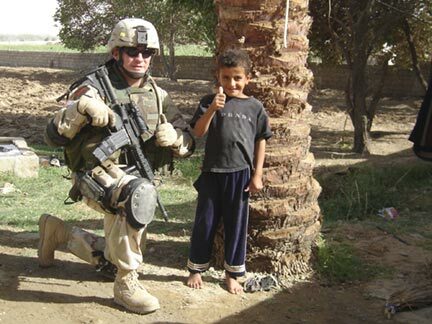 Sergeant First Class (E7) Michael Rubish in Bayji, Iraq. Sgt. Rubish, who is the son of District Justice Michael Rubish, served in Iraq for one year, returning in November, 2005. He is seen above near Forward Operations Base Sumerall in Bayji. See more photos from Michael’s tour here. Sgt. 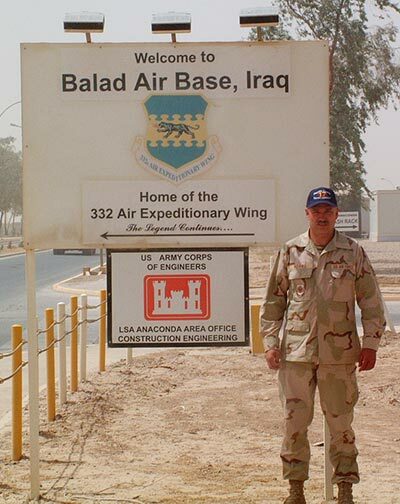 Amy Domonkos McClain at Camp Anaconda, Balad, Iraq. Sgt. 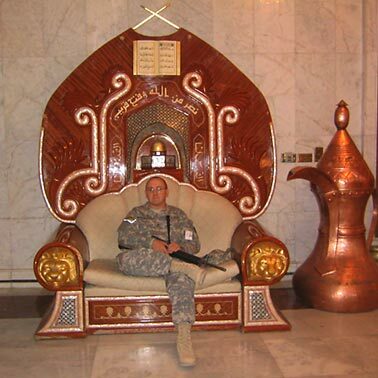 McClain served in Iraq from May, 2003 to May, 2004. She is a 1990 Frazier gradudate. Sgt. 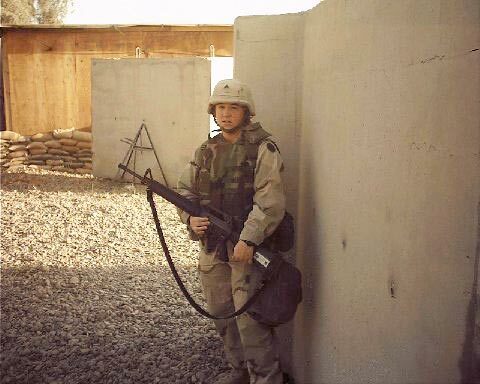 McClain has been serving her country since 1992, and is currently a reservist in Pittsburg, Kansas. 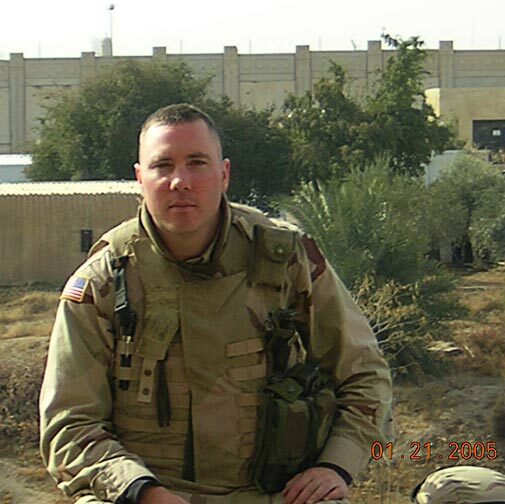 Specialist Eric Domonkos in Tikrit, Iraq. Tikrit is the home town of Saddam Hussein. 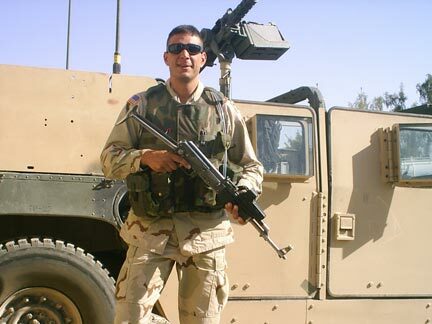 Specialist Domonkos, who serves in the Pennsylvania Army National Guard, served 10 months in Iraq and returned home in October, 2005. CW3 James W. Cossell is a 1983 Frazier graduate. He retired from the U.S. Army on December 31, 2007 after more than 23 years of service, including a tour of duty in Afghanistan. Above: James in Pakistan in 2005. 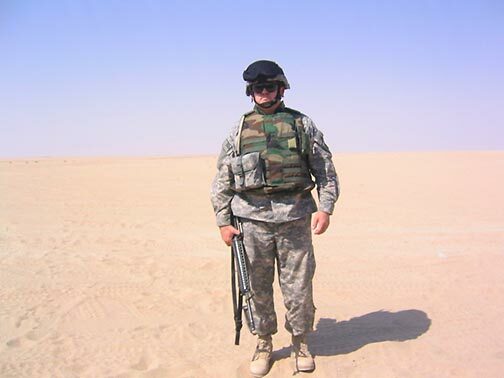 Above and Beyond: Specialist Charles Olinzock, a 1988 graduate of Frazier High School, recently served in Iraq with the Army National Guard. 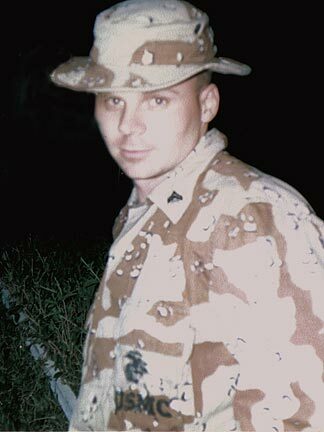 Charlie also served in the Persian Gulf with the Navy during Operation Desert Shield/Storm in 1990-91. 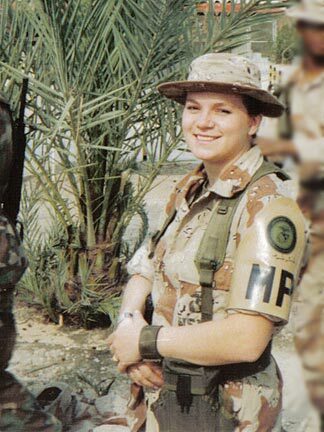 Lance Corporal Erika Beeson served with the 2nd Military Police Company, U.S. Marines, during Desert Shield/Desert Storm, 1991. Corporal Alvin Branthoover, a Perryopolis resident, served in the United States Marine Corps during Operation Desert Shield/Desert Storm in 1990-91. Every American has two inescapable duties in time of war. • You must support our men and women in uniform no matter where they serve and without regard to your opinion of the war in which they are struggling. Putting a “Support our Troops” sticker on your bumper isn’t enough. There are many ways to materially support our troops. One of the best is to demand that your government not abandon our men and women when they return from combat -- that adequate funds are allocated to ease, as much as possible, the physical and emotional injuries that these veterans bring home with them. Use the Internet to search for organizations that accept donations for the material support of our underpaid troopers and their families. Give as much as you can afford -- more than you can afford -- to one or more of these organizations. Check with your Post Office to see if it is still selling phone cards for the troopers. You buy the phone card and leave it behind; the U.S. Postal Service sends it to Iraq or Afghanistan. Find out what the men and women on the front lines need and send care packages. Contact a Veterans’ Hospital to volunteer. Our men and women in uniform and their families are paying a heavy price -- too often the ultimate price -- for the privilege of serving our country; surely you can find a few dollars and a few hours to do your part. Can you oppose a war and support the soldiers at the front line at the same time? This is where Americans tend to be very confused. Many people think that opposing a war is somehow unpatriotic, and that such opposition is tantamount to failing to support our men and women in uniform. Nothing could be further from the truth. Our obligation is to the men and women in uniform, not to the politicians who sent them to war. Questioning the motives and actions of our political leaders is the highest duty of a patriot, and a human being has no higher calling than opposing war. Do the things in the first and second paragraphs above, and you may count yourself a patriot. This is easily explained. If you have not been in combat at the front lines of a war, there is one thing that you must know, and it is the only thing that you can know, about the experience. That one thing is that you will never come close to understanding what a soldier goes through in combat. You won’t see it in the movies, you won’t read about it in the newspapers, and you certainly won’t see it on the evening news. Every soldier who survives combat knows that, and sees the futility of trying to relate the experience to anyone who has not been there. Possibly the best essay on the experience was written by Paul Fussell, a World War II combat veteran who writes about the combat experience (but not his own) in detached language. His essay “The Real War 1939-1945” is available on-line to subscribers of The Atlantic Monthly at http://www.theatlantic.com/unbound/bookauth/battle/fussell.htm. Caveat lector: this isn’t easy to read. To participate in this page or any page on Perryopolis.com, e-mail the Webmaster. in the Middle East and Southeast Asia (1970-1994). Like Roosevelt, he has seen war, and he hates it.